Testing the waters on this guy. Will entertain high end trades. McDavid 9.5 FWA would be great. Last edited by ari4l2010; 12-20-2016 at 09:54 PM. It's crazy what the last couple of BGS 9.5 and PSA 10 copies have sold for Steffan! Like you said, these things passed hands easily before and with regularity. I stockpiled quite a few of them and just seeing what I can get for them. Beauty card! 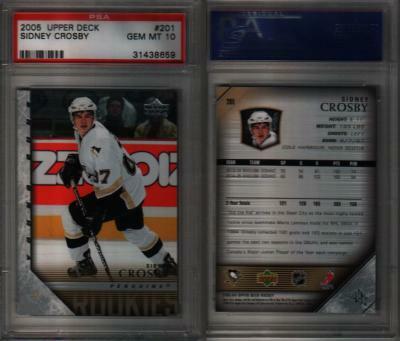 I pulled one back in 2007, sent it to PSA and it came back a 10. Only got $400us for it then. Wish I held onto it. Also, wish I had the funds for the one you are selling. Free bump, good luck with your sale!